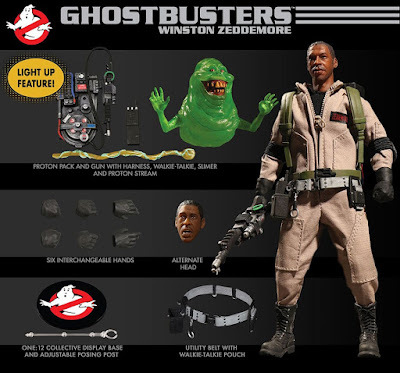 Just like when we featured this hyper-detailed Ecto-1 car, we always get a bit giddy at the mention of some new Ghostbusters merchandise, despite the film now being 34 years old. 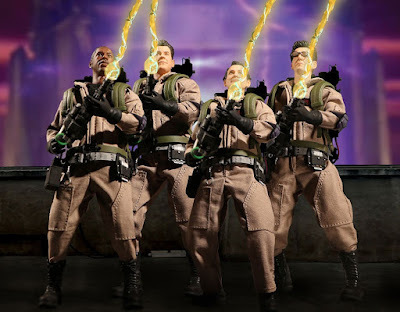 Mezco Toyz, who are known for creating realistic action figures, have stepped up to the mark with a special set of four figures of the original Ghostbusters. And Slimer. Each character comes with a tonne of accessories, an alternate head, extra hands, light-up Proton Packs, and authentic fabric clothing. Called the One:12 Collective Ghostbusters Deluxe Box Set, it will no doubt be popular with GB fans... who can afford it. 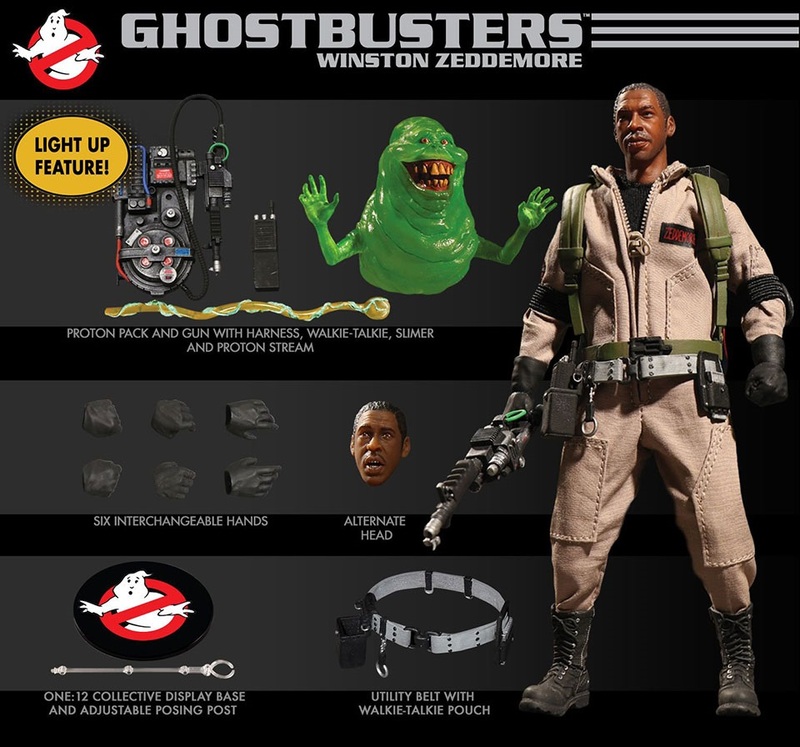 Currently, Mezco Toyz are selling it for $300. Which is a damn bargain in our opinion. 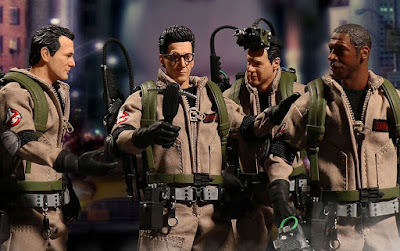 The look of the faces, the articulation of the figures, and the wealth of accessories go together to make a great looking set.